Every company looks for unique, cost effective trade show giveaways. 99% of the giveaways are a one to one relationship. People take the giveaways and place it in their pocket or bag. Only they see it! What if a giveaway can be unique, cost effective, custom made, and attendees will be so proud of the giveaway, that they will show it off to fellow attendees and exhibitors? 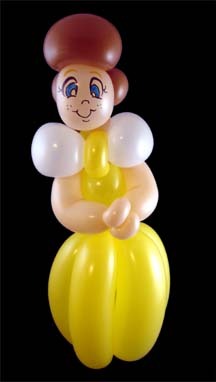 Magical Balloon-dude Dale can create balloon sculptures as trade show giveaways that are so special that attendees and exhibitors will proudly display and showoff their balloon giveaway to colleagues. Dale adds value to his giveaways by adding entertainment, disseminates corporate information and draws crowds to your trade show booth. 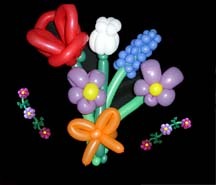 Dale’s awe-inspiring balloon creations will draw crowds while incorporating company colors or the theme of your trade show booth into his traffic building entertainment. Giveaways on a trade show floor is your way of adverting. Your giveaways should make an impact on the attendees and make them talk about you. 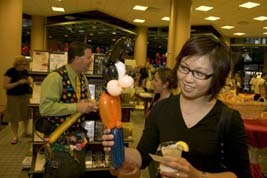 Become the buzz of the trade show floor with the most unique, creative, entertaining giveaways. 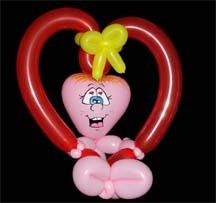 Contact Magical Balloon-dude Dale to learn more about balloon entertainment as a trade show giveaway.